For the seasoned entrepreneur, a direct investment into a new commercial enterprise may be a profitable path to becoming a United States green card holder. EB-5 direct immigrant investors are required to invest a minimum of $1,000,000.00 into a new commercial enterprise. However, if the EB-5 investment is located in a Targeted Employment Area or Rural Area, it will qualify for a reduced threshold of $500,000.00. Permanent residency through the EB-5 Immigrant Investor Program is split into two stages, the I-526 Immigrant Petition and the I-829, Application for Removal of Conditions. 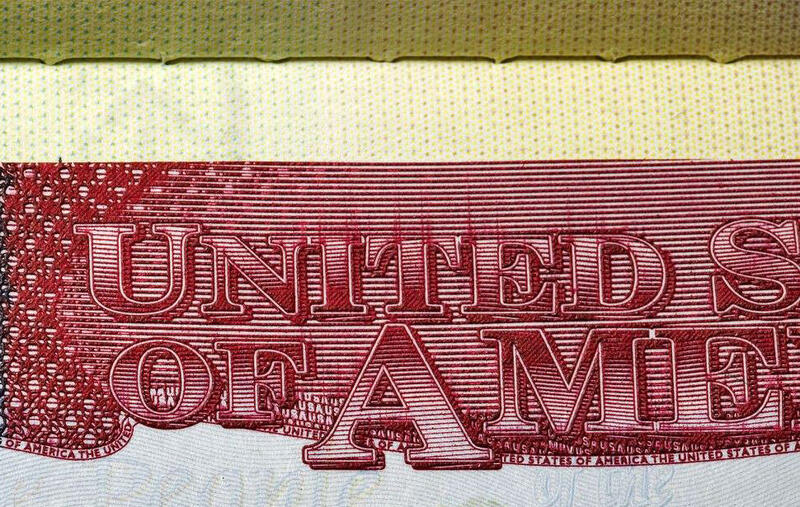 The EB-5 immigrant investor must meet certain criteria at each petition stage. Invest in a new commercial enterprise. Prove the lawful source and attainment of the EB-5 investment funds. Verify that the funds are in the process of being invested. Once the four criteria are met, the EB-5 immigrant investor and his/her spouse and children under 21 may be granted U.S. conditional residence for 2-years. Upon the submission of the removal of conditions, I-829 Petition, the EB-5 immigrant investor must satisfy two other key requirements; (1) prove that their investment created or saved 10 full-time jobs (2) prove that the required amount of capital has been fully invested. Once the EB-5 immigrant investor proves that they have met the criteria he or she and any accompanying family dependents may receive U.S. permanent residency. A “new commercial enterprise” is defined as any “for profit” entity that includes partnerships, holding companies, joint ventures, sole proprietorships, corporations, business trusts, or other entities publicly or privately owned. An investment in a holding company may qualify as long as their wholly owned subsidiaries are actively engaged in “for profit” lawful business. Typically, EB-5 immigrant investors invest in an enterprise started after November 29, 1990, as defined by USCIS, although the EB-5 immigrant investor may also invest in a business established prior to that date in cases of substantial expansion or restructuring. There are four sub avenues that can be classified as a new commercial enterprise: creating a new business, buying an existing business, expanding an existing business or pooling investments. Note: Owning a personal residence is considered a non-commercial activity and will not qualify for the EB-5 Immigrant Investor Program. Not only must the EB-5 immigrant investor invest in a qualifying commercial enterprise, but he or she is required to hold a policy-making position and be actively involved in the day-to-day activities of the business. An individual who wishes to participate in the EB-5 Program and not be required to manage the day-to-day activities of the commercial enterprise should consider the Regional Center investment under the EB-5 Immigrant Investor Pilot Program. Otherwise, regulations set forth by the USCIS expect that the EB-5 immigrant investor be a manager in title as well as in practice. To qualify for the EB-5 visa, an EB-5 immigrant investor may choose to invest $1,000,000.00 into a new commercial enterprise in the form of cash, equipment, inventory or other tangible property. Furthermore, Eb-5 immigrant investors must create 10 new full-time jobs for U.S. citizens or lawful permanent residents (not including the investor and his or her immediate family). These jobs must be directly created as a result of the investment. The only exception to this requirement is if the company is considered a “troubled business,” one experiencing a net loss for one or two years of more than 20% of its net worth and thus, in which case the Eb-5 immigrant investor may also count jobs that have been saved because of their EB-5 capital investment. EB-5 immigrant investors may invest the reduced threshold capital requirement of $500,000.00 provided that the EB-5 investment is in a “targeted employment area”. The assessment of whether the EB-5 investment is in a Targeted Employment area is based on statistical information relating to the time of investment, and is based on the location where the enterprise is principally doing business. The targeted employment area is defined as either a rural area, which is considered an area outside of a metropolitan statistical area with a population of 20,000 people or less or an area experiencing high unemployment (at least 150% the national average). For those EB-5 direct investors investing the reduced threshold capital amount of $500,000.00 into a “Targeted Employment Area”, it is required that EB-5 investors provide within their business plan a detailed plan for job creation. Rahbaran & Associates acknowledges that our clients may not have the expertise to furnish such a report and therefore offers additional services to investors providing such documentation. All EB-5 immigrant investors must be able to demonstrate to USCIS that their EB-5 investment is “at risk” to satisfy the “at-risk” requirement of the capital investment funds. This means that there must not be any guarantee of return of capital such as a redemption agreement. An EB-5 immigrant investor may not loan the required investment to the new commercial enterprise, and cannot receive a bond, note, or other debt arrangements from the enterprise in exchange for the contribution of capital. Also, the EB-5 immigrant investor’s personal guarantee of a loan that is the primary obligation of the enterprise does not constitute as an equity investment of capital by the petitioner. The EB-5 immigrant investor may use an escrow, conditioning release of funds to the commercial enterprise on approval of conditional residence status or approval of Form I-526. However, the USCIS has advised that the escrow must release funds directly into the enterprise’s accounts for job-creation purposes. Most Regional Center investments are tailored to maximize the probability that the EB-5 immigrant investor receive a grant of permanent residency and are not meant to maximize profit generated from the investment. An essential element of the EB-5 Immigrant Investor Program is the ability of the prospective EB-5 immigrant investor to prove the EB-5 investment funds have been lawfully attained. Documentation is required to prove the lawful attainment of the EB-5 investment funds as well as demonstrate the path of the funds (money trail) to the United States. For additional information regarding the “source of funds” requirement, please visit our “source of funds” web page. Our firm’s expert legal counseling comes from years of experience with EB-5 immigration cases, and our specialization with the EB-5 Program allows us to offer clients valued insight throughout the EB-5 petition process.